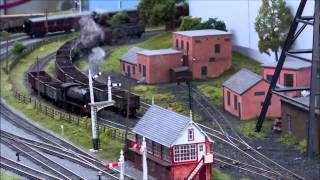 Three 4mm scale British Locos with sound smoke and lights controlled by DCC. I use Zimo Sound decoders. They have the greatest range of features available. Here I have used them to control smoke generation. Even in the small J94 saddle tank loco. Zimo allows a whisp of smoke at idle and when drifting, maximum flow when accelerating and medium flow when cruising. This is all available on the basic decoder, no add on boards needed. Synchro chuffs too if you can get a fan driven smoke unit in your model!